He was charged with securities fraud and conspiracy. 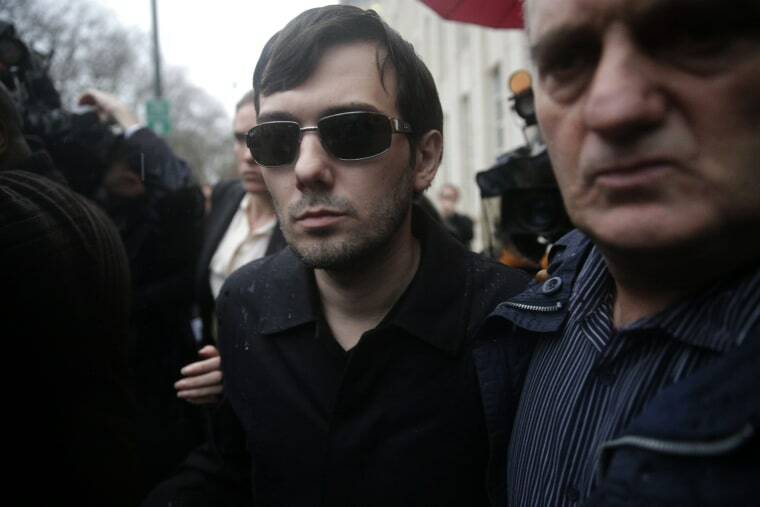 Prosecutors say from 2009 to 2014, Shkreli lost some of his hedge fund investors' money through bad trades, then looted a pharmaceutical company where he was CEO for $11 million to pay back his disgruntled clients. Shkreli was already widely reviled because a different drug company he founded, Turing Pharmaceuticals, raised the price of a life-saving drug from $13.50 to $750 per pill. He resigned as the company's CEO on Friday. Everett Rosenfeld is a staff writer for CNBC.com.